I had these wooden shaped mitten that I picked up from a garage sale a few years ago, but faced a creative roadblock on how to decorate it. I finally had a great idea- and it involved recycling Christmas cards. My daughter and I painted the sides of the wooden mitten with white craft paint. 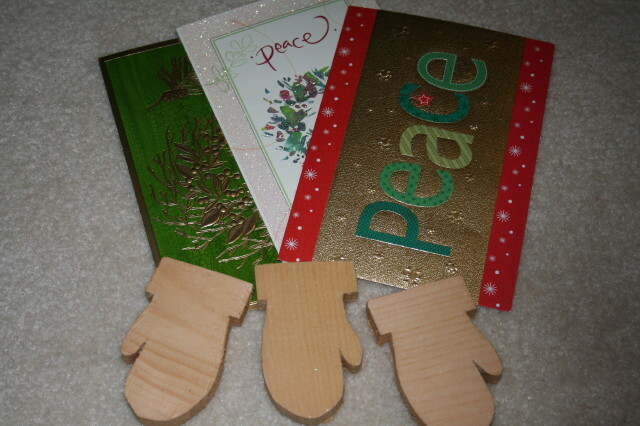 Then I traced the shape of the mitten on the inside of the cards and cut the shapes out. One piece for the front and another for the back. Using some tacky glue, I stuck on the cards to the front side of the mitten. Once dry, I used some string to make a loop and stuck it on to the back of the mitten with more tacky glue. I covered the back of the mitten with the other piece of cardstock. Using some left over ribbon that I had, I tied it to the tops of the mitten. 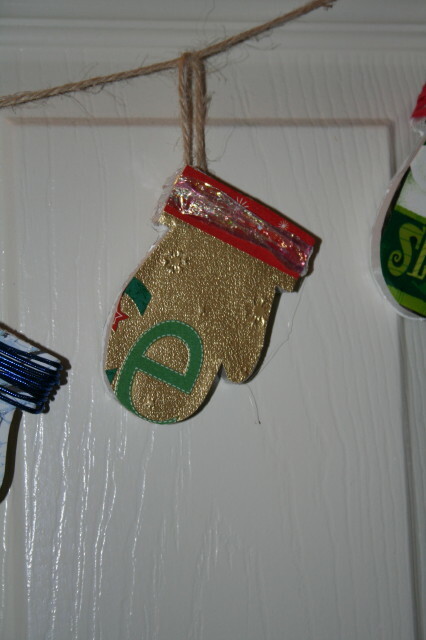 Now I have a pretty mitten garland on my laundry room door, as part of my Christmas decoration. This is truly a recycled project. 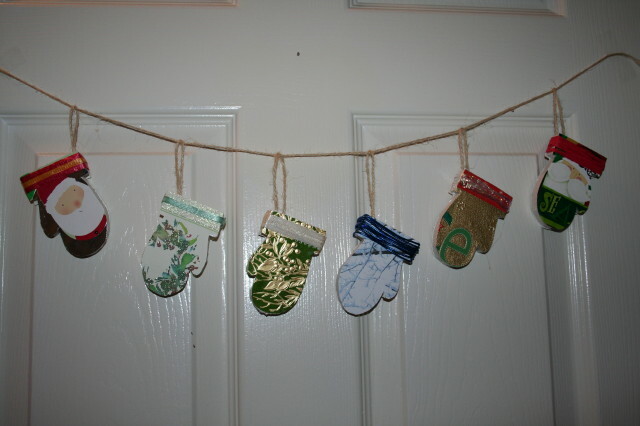 If you do not have wooden mitten, you could use other wooden shaped decorations that you can get from a craft or thrift store. This project could work without the wooden pieces as well. You could just cut out shapes from the recycled cards and use it to make a garland.